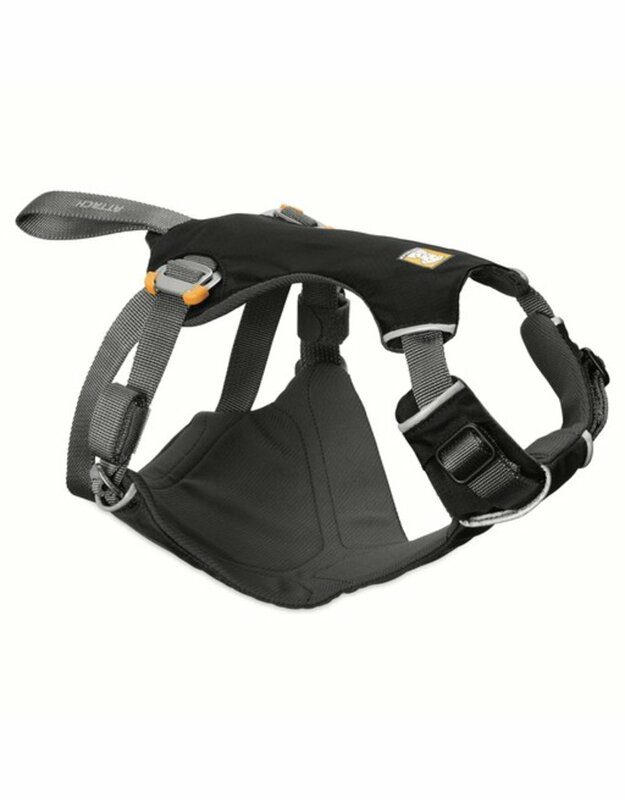 The Ruffwear Load Up™ Harness is an automotive canine travel harness designed to safely transport dogs to and from adventures. Built with strength-rated hardware and components, the Load Up Harness has been successfully tested to withstand the rigors of a vehicle crash test. Attaches to existing seat belts for a universal fit. Keeps dogs secure during sudden vehicle movements and allows drivers to focus. Easy to put on and adjust, comfortable for dogs to wear during extended travel, and can be left on dogs for bathroom breaks and during rest stops.